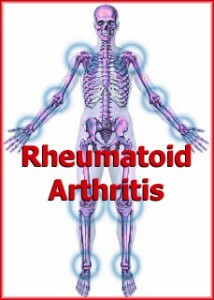 Oils containing the omega-6 fatty acid gamma linolenic acid (GLA)—borage oil, black currant seed oil, and evening primrose oil (EPO)—have been reported to be effective in the treatment for people with Rheumatoid Arthritis. Although the best effects have been reported with use of borage oil, that may be because more GLA was used in borage oil trials (1.1–2.8 grams per day) compared with trials using black currant seed oil or EPO. The results with EPO have been mixed and confusing, possibly because the placebo used in those trials (olive oil) may have anti-inflammatory activity. In a double-blind trial, positive results were seen when EPO was used in combination with fish oil. GLA appears to be effective because it is converted in part to prostaglandin E1, a hormone-like substance known to have anti-inflammatory activity.